Not only did we learn about dragons and ice, but the four year olds and I did some other fun activities. One afternoon I really needed them to stay focused and quiet for a long period of time, and work on their fine motor skills. 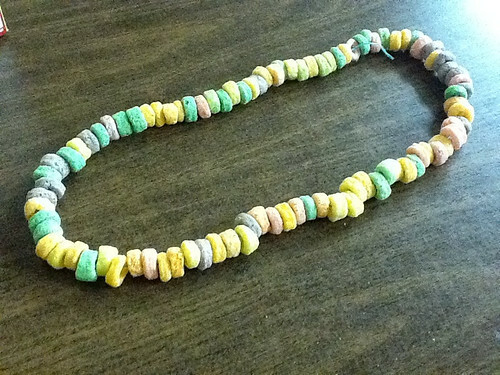 We made candy necklaces! I just dumped fruitloops on the table and gave them each some fruit flavoured dental floss and they strung away, then when they were big enough I tied it around their necks. Not only were they busy for close to an hour beading, they enjoyed eating the necklaces all afternoon (being careful only to eat while they were sitting down). 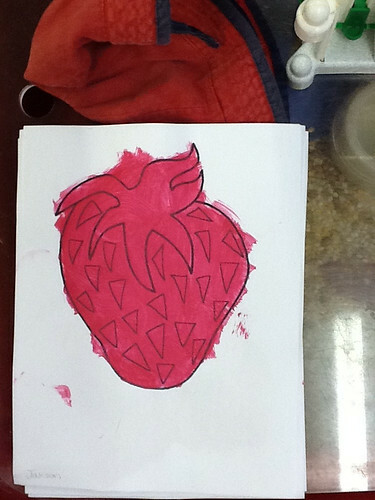 We did lots of different kinds of painting and crafts, but my favourite was the scratch and sniff strawberries. I mixed red paint with strawberry bubble bath, so when it was finished drying they scratched it and it smelled like strawberries. We made sail boats using “halfs”, where they had a full shape and had to fold it in half in order for the shapes to make the boat. 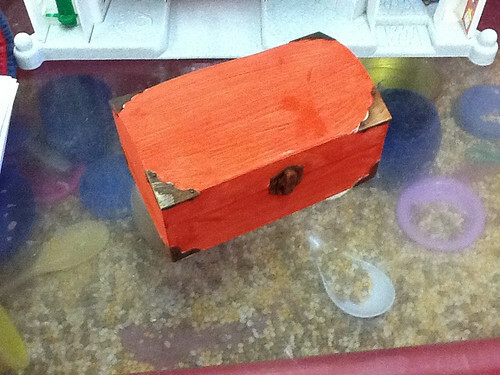 It was the week of fathers day so we also made a fathers day craft. They painted little boxes red and we labelled them “Dad’s Toolbox” and filled it with numerous items like smarties – for the days when you aren’t so smart. (If I find the poem we used I will put it up here). The only issue I had with this was that I wasn’t comfortable doing father’s day activities. Don’t get me wrong, I appreciate fathers and all they do for their kids, but I am also aware that many kids do not have fathers. Especially working at a non-profit daycare, there are a lot of kids who just don’t have dads, or their dads are not in the picture. Very similar with family trees, I find this topic rather uncomfortable to approach without not including some kids in the classroom. Our group of kids had a fathers day party and all the dads and grandpas were invited to come, and of course one kid didn’t have a dad that came. It was upsetting having to see the child not feel included. One girl didn’t even come in, and I’m sure it was because there wasnt a dad or grandpa to come in. I think there is ways of handling situations better than how it was handled in our situation. I think sometimes people just forget that a family looks different for every person, and we need to stop looking at just the conventional family life we have socially set. This is much over due, but I thought I might as well continue on with the week of ice I did with my kids at the daycare. 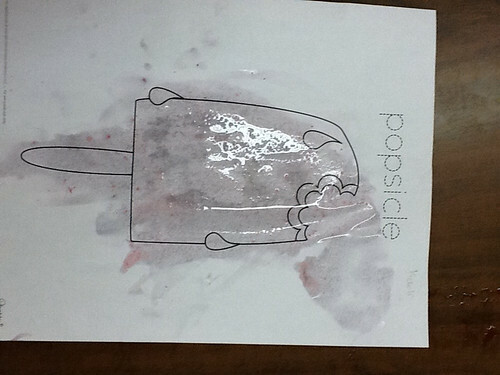 First we did popsicle paintings. 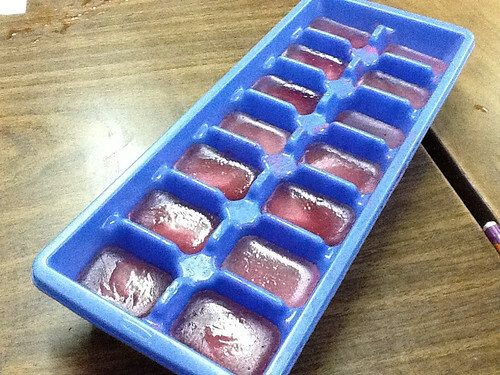 I had a picture of a popsicle and they had ice cubes that were filled with cherry jello and they had to paint them. Another person I worked with suggested putting tempura paint in water and in a dixie cup then sticking a popsicle stick in it to paint with (I would have done this if I wasn’t worried about my kids eating them!) They also really enjoyed eating the jello ice cubes. Another activity we tried was experiencing melting ice. I took freezer bags and filled them with individually wrapped candy, rings and rubber balls, and filled them with water and froze them. Then they each had their own giant ice cube to melt. The trick with this is not letting them hold the ice too long or their hands get cold. 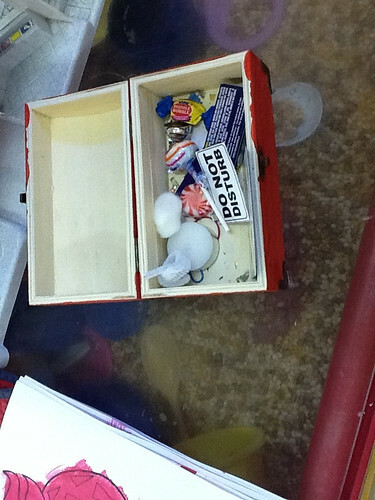 We had a water table filled with warm water and they all melted their ice cubes and discovered their treasures. They were also excited to see how fast a tub of warm water could turn cold! We practiced our numbers by doing a connect the dot ice cream cone. They are only four, so their curriculum says that they only need to recognize the numbers 1-5 (I think) and know at the very least up to 10. I documented how well each kid did, ranging from kids who could barely do 1- 3 on their own, and kids who could go all the way to 30. It was an interesting activity to see the different developements of the children. We took one large freezer bag, filled it with ice and two table spoons of salt. 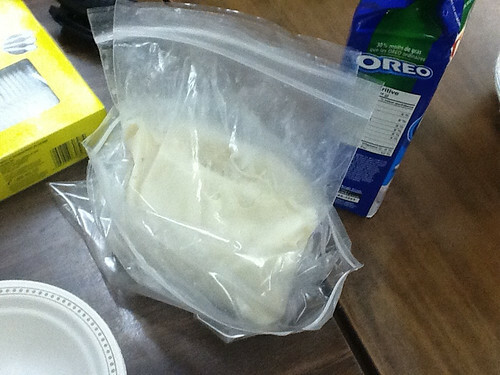 Then we took sandwich bags and filled it with 1 cup of milk, 1 tablespoon of sugar, and 1/2 teaspoon of vanilla. Then we made sure to seal both bags, after putting the smaller bag inside the bigger. Then we shook… and shook… and shook…. and it surprisingly turned into ice cream! We played tossing games and hot potato and they were absolutely amazed when it was solid. 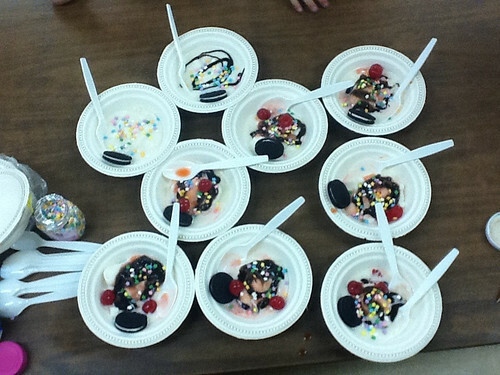 Then we made sundaes. To wrap up the ice, we read the poem Bleezer’s Ice Cream Store. (I had it memorized, thank you very much) They loved it, so we all made up our own ice cream flavours and they drew pictures of the amazing creations they imagined (sadly I have no pictures). It is a couple weeks later, and they are still talking about the ice, it was a very fun week.